This is a very basic guide to getting a better picture from your TV set. We’ll save the elaborate setup, which requires a test disc, for a later edition of the newsletter. Your TV may have different names for the controls, such as Sony's habit of calling Contrast 'Picture', but the procedure remains the same. 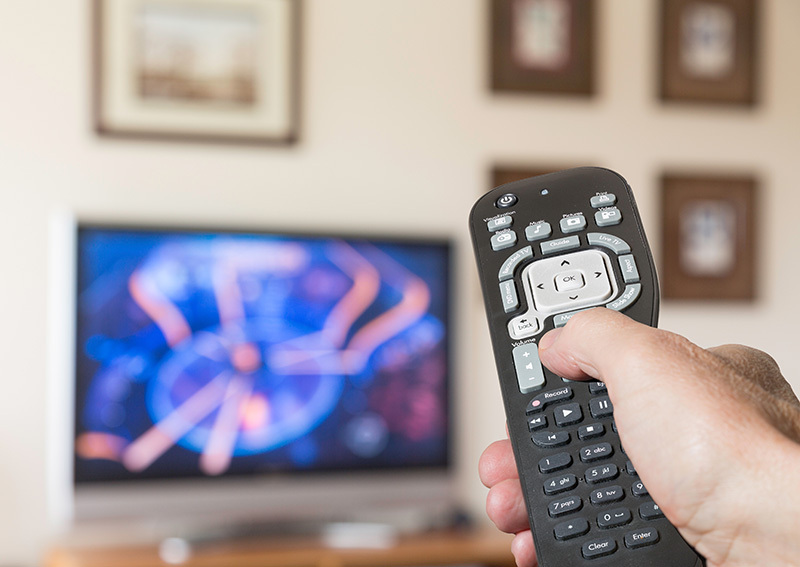 No matter what the age of your TV, the first thing you can do is determine if there is an automatic circuit that controls flesh tones, and turn it off. While these circuits are a convenience, they automatically convert any color that approaches Caucasian skin tone to a uniform shade of peach. This introduces fundamental inaccuracy in reproducing all the other colors in the spectrum. So find that control and turn it off. You may have to occasionally adjust the Tint (hue) control for skin tones when you change channels, but in my view that’s a small sacrifice to make in order to achieve fidelity of every other color. The next step is to calibrate contrast (white level), black level (brightness), hue (tint), saturation (color), and sharpness. Most manufacturers set up new TV sets for an extremely bright, contrasty picture. They do this so the sets will look good in bright, fluorescent-lit stores where customers will choose the TV set with the brightest, high-contrast picture as being the “best.” Start by turning down the Color (saturation) control so you’re looking at a black and white picture. Now adjust the Brightness control so you can still see detail in white areas. Then play with the Contrast (white level) control so that blacks are truly black but there remains a bit of detail visible in shadow areas. You may have to go back and forth between these two controls until you get a satisfactory black and white picture. Now you can adjust the sharpness so you get sufficient detail but not so much that any video noise or grain is obtrusive. Next, turn up the Color (saturation) so colors are natural and vivid but not excessive. Finally, readjust the Tint (hue) so the skin tones look natural. If you have done this successfully, your set should properly render the full range of human skin tones from ebony black, through chestnut, to dusky hues and every shade of pink. If you are contemplating renovating home theater and utilizing that unfinished basement space or perhaps a dormer-type space with slanting walls above a garage, there are a number of factors to consider besides the home theater dimensions. When it comes to determining at what height the main surround speakers should be mounted, “above ear level and to the sides of the listening area” goes only so far. It's confusing. In most home-theatre setups, your Dolby Digital/dts A/V Receiver has a menu for setting the levels of all your speakers, including an adjustment for the Low Frequency Effects (LFE) channel. 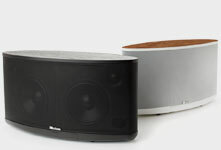 A visitor to the Axiom message boards was recently contemplating sawing a chunk out of his 24-inch wooden stands in order to “get the tweeters of his M22ti bookshelf speakers exactly at ear level. 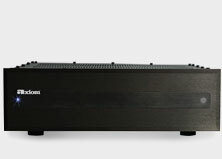 Got a problem getting a smooth, seamless soundstage from your left main speaker across the center channel to the right speaker? Does much of the image seem collapsed into the centre? 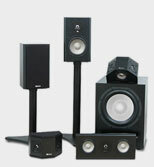 First, carefully adjust the center-speaker distance and level in your receiver's setup menu. I get lots of emailed questions from home theater enthusiasts who want to use their A/V receiver to run a second pair of bookshelf speakers in the bedroom or den, sometimes even a third pair on a patio—in addition to the main pair of speakers in their home theatre system. Location, location, location. It's the mantra of real estate agents, and it could just as easily apply to your Center Channel. Although most conventional forward-firing speakers don’t direct their audio frequencies as narrowly as a flashlight beam, they still are directional to a degree, depending on the frequencies of sound. Bi-words seem to be proliferating these days (bi-coastal, bipolar, etc. 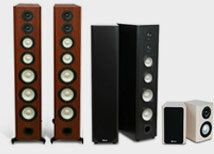 ), and the world of stereo and home theater loudspeakers is no exception. The Listening Room: Reflection and Absorption In the quest to get smooth, well-balanced sound reproduction in our homes, the one component we often ignore is the listening room itself.